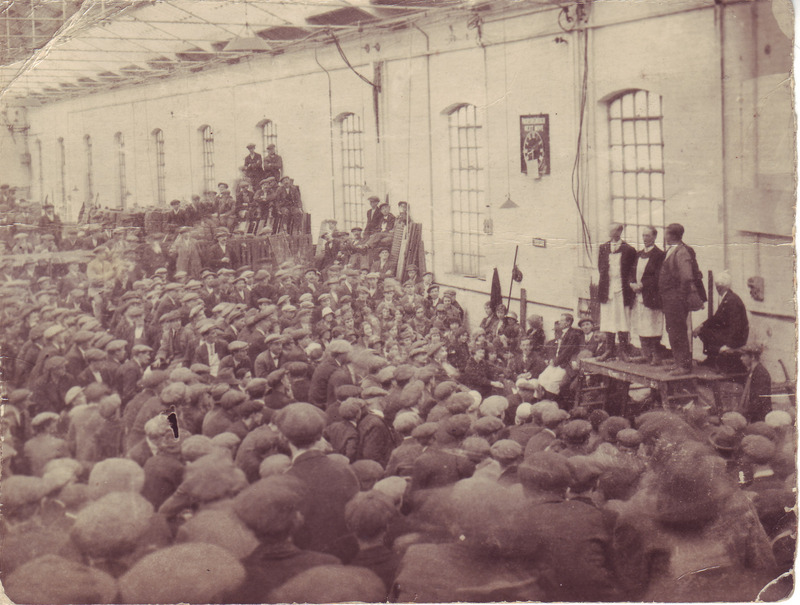 My grandfather, Jack Wood, was a ‘finisher’ in the works but this photo shows him standing on a table, second from left, with some colleagues whilst entertaining the workers with some singing during a ‘sit in’ strike in 1925. I’m not sure what the dispute was about or how it was resolved but there is apparently a book about it called, appropriately enough, “Dispute at Wolverton Works”. Hopefully the singing helped pass the time! This entry was posted in Heritage, Living Archive, People, Wolverton, Wolverton Works. Bookmark the permalink.